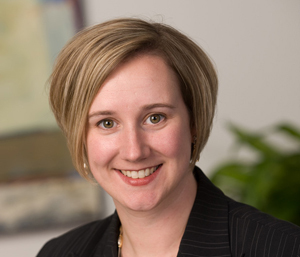 Clients hire Kristin Draper because she offers an aggressive yet tactful approach to litigation. Her peers are quick to point out her prowess as an attorney and her superior initiative, while clients frequently praise her work ethic, responsiveness and sharp negotiation skills. Kristin assists a variety of clients, including real estate investors, transportation companies, medical practices, procurement firms, national child care providers, facilities management companies, marketing companies and technology-centered businesses, as well as individuals and families. Kristin’s experience includes managing all facets of complex commercial litigation, including disputes regarding multi-million dollar real estate transactions, trade secrets misappropriation, intellectual property, stock warrants, shareholder rights, hospitality procurement, and employment. In addition, Kristin handles various trust and estate disputes, assisting families in effectuating estate planning goals and seeking redress for wrongs committed by fiduciaries. She often appears before regional tribunals in Maryland and the District of Columbia, and she has practiced in state and federal courts throughout the country. Kristin also offers counsel regarding contracts in various procurement, employment, real estate and other business matters. Represented clients in a complex dispute over the application of a buy/sell provision in a real estate company’s operating agreement, resulting in a nearly $20 million settlement in the middle of arbitration. Represented 50% owner of limited liability company owning $50 million Washington, D.C. office building in dispute concerning sale of property. Represented large minority partner in litigation and pre-litigation disputes concerning various real estate partnerships owning shopping mall, residential apartment complexes, and raw land in the Washington metropolitan area. Represented real estate developer in litigation and various other matters over his interest in $106 million office building and contiguous property located in Washington metropolitan area. Represented sports league in litigation in Federal court in Nevada concerning the design and acquisition of a rocket-powered airplane. Represented software development company in Federal lawsuit against former officer, director, and employee concerning ownership of the company’s intellectual property. Represented leading solar energy company in Federal lawsuit against former business partner concerning the former partner’s breaches of a reseller agreement. Represented regional fuel distributor against operator for breach of supply agreement. Represented mortgage broker in enforcing restrictions covenants against former employees. Represented carpet cleaning company in arbitration concerning breach of asset purchase agreement. Represented trust beneficiary in seeking removal of Trustees suspected of fraudulent and conflicted actions. Represented former trustee and power of attorney in dispute with family members regarding administration of trust and actions as healthcare power of attorney for incapacitated parent. Represented estate beneficiaries in seeking redress for undue influence and suspected elder abuse of incapacitated parent. While a student, she was named staff member of the year for her contributions to the Journal of Contemporary Health Law and Policy.